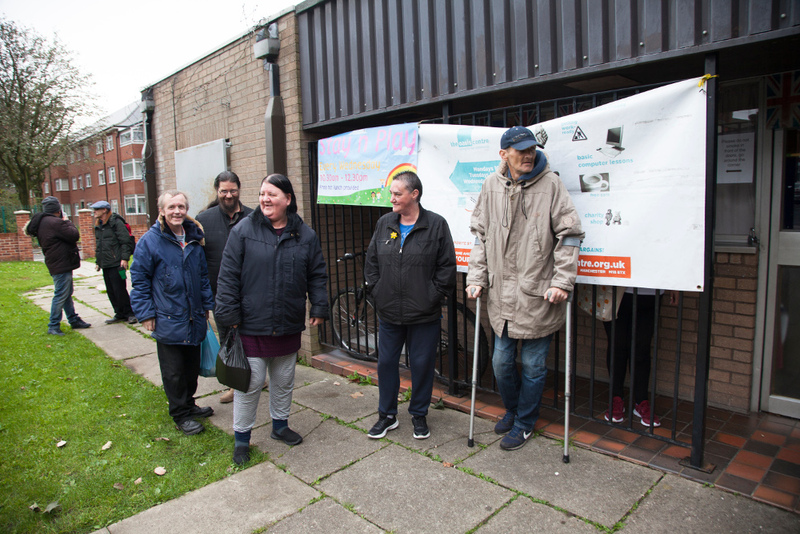 The Oasis Centre is a community project that works with a broad cross-section of vulnerable and disadvantaged adults in Gorton, East Manchester. This is one of the most deprived communities in Britain. The Centre is a lifeline for over 100 people a week including families living on benefits, the long-term unemployed, asylum seekers and refugees, homeless people, ex-offenders and those struggling with addiction problems or mental illness. Since 2001, over 7,000 individuals and approximately 3,000 families have benefitted from our services. We act as a vital ‘first rung on the ladder’ for the most disadvantaged people and a safe way to access mainstream support services. Many people in need simply can’t make use of what is available because they are fearful, mistrusting or lack the basic social skills needed. Consequently, they miss out on the services they most need. For those who are ready, we offer basic skills courses and a tailored programme to prepare for employment. These problems may seem overwhelming and intractable. However, we have demonstrated, over 15 years, that with a great deal of patience and skillful balance of compassion and 'tough love', lasting positive change is achievable.